I participated in a teleconference with Igor Nikolaevich Panarin, a political scientist, professor of the Diplomatic Academy of the Russian Ministry of Foreign Affairs, PhD in Psychology, PhD in Political Science, and member of The Academy of Military Science. He is the author of the books Information War and Russia, Information War and Elections, Information War and Power, Information War and Geo-Politics, and others. 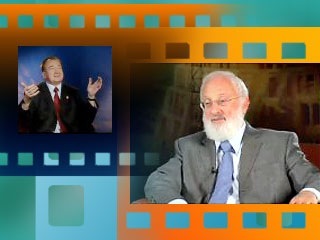 He has participated in large international conferences where he always spoke in defense of Russian national interests. He often makes appearances on news and analytical TV shows aired on leading Russian channels, commenting on important current issues of modern world politics and Russian current events. My Considerations: There is no place for nationalistic ideas in the modern global, interconnected and interdependent world, since these ideas cause nations to be in opposition with each other. In our times, we have come to a level of global development of humanity and its unification into one whole. Any separation is opposite to the natural development of humanity and thus, doomed for failure. The development of strong nationalistic ideas in such a multi-national country as Russia will lead to even greater centrifugal forces within the country, which will eventually tear it apart. A national idea is a definition of a nation’s meaning of existence. A nation is already the implementation of the idea. So, if there is a purpose for a nation to exist, what is it? Globalization and immigration show that today all people can live without a country by becoming citizens of the world. Issues that are critical to the survival and flourishing of humanity (such as economy, ecology, and energy) can only be resolved on a global scale, where the benefit of all humanity is considered. However, Russia, the nation that has always stubbornly searched for its place in history, has to find an answer about the meaning of its existence. Besides, as we have seen, the Russian people cannot live as peacefully as the people of Luxembourg, for example. Therefore, a suggestion: You should desire to become a source of Light for the world; thus, you will lead the world forward. 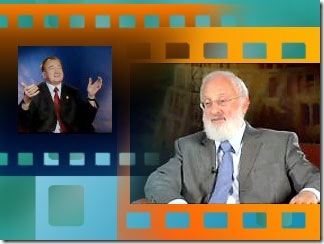 Kabbalah, the science and method of integrating man and nature, suits these purposes. By implementing its methods, you will find your sought-after place in history – one of respect and grandeur!